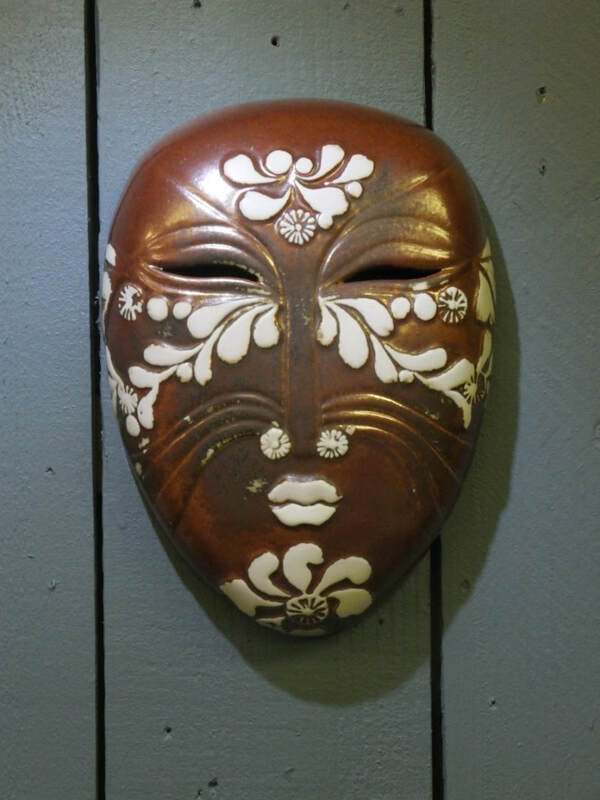 ​A rare and seldom seen wall mounted face mask from a group representing great cultures and continents, this one is 'Asia'. 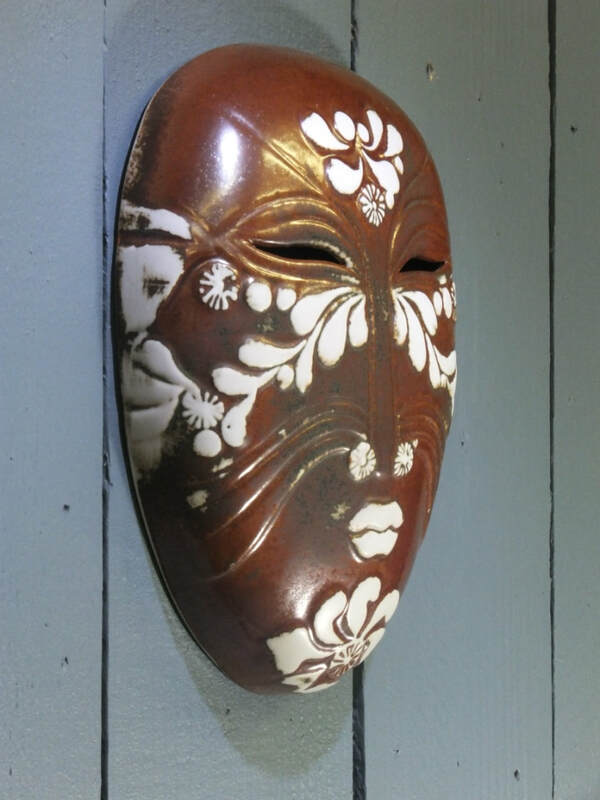 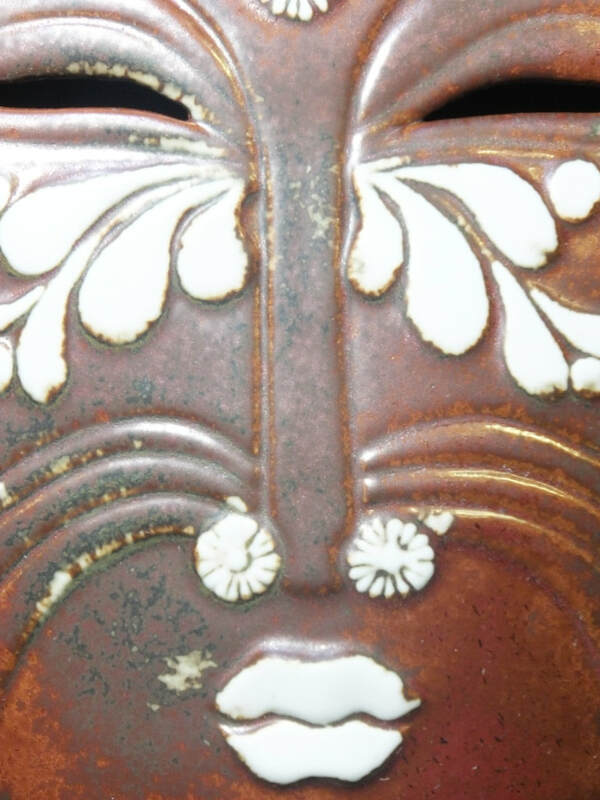 Cast in pure white porcelain with rust brown glazed background. 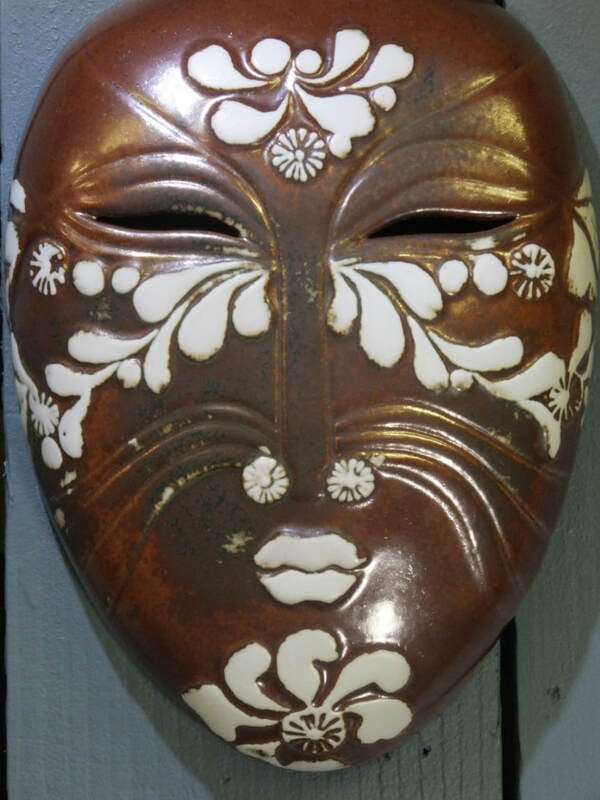 Produced between 1979 and 1980.